Happy New Year, dear readers! It’s officially 2016, but no journey forward for us would be complete without our traditional look back at the gaming past. It has been an incredible year here at Dice Hate Me HQ with the Dice Hate Me Games/Greater Than Games merger, a wonderful Kickstarter campaign/ subsequent fall delivery of Bottom of the 9th, and a successful reboot of New Bedford! And, of course, who could forget the meta gaming goodness of Deck Building: The Deckbuilding Game and Unpub: The Unpublished Card Game? It has been a full and bright 2015! 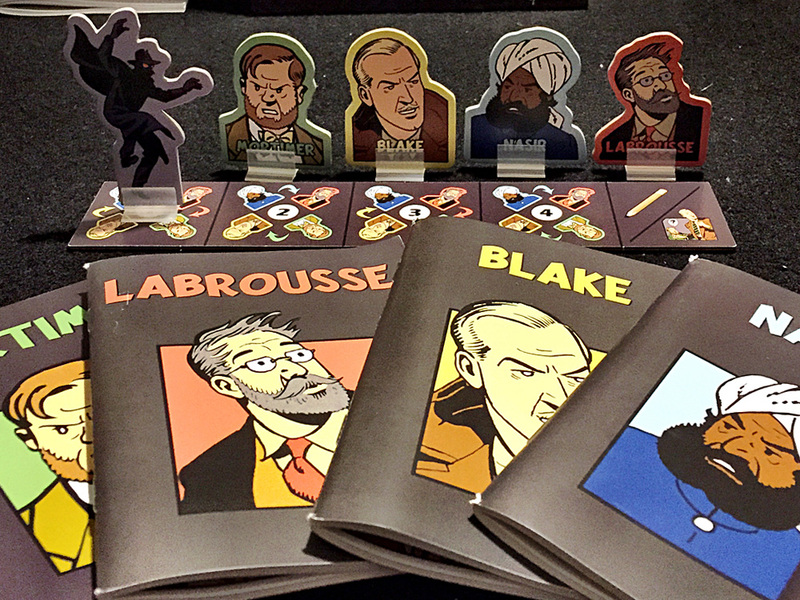 And now it’s time on Dice Hate Me to look back at some of the best and brightest board games from 2015. There were a lot of fascinating board games released this year, and it was a difficult decision, as always. To clarify the process of selection, the Game of the Year Award is open only to those games that were published and distributed for retail openly in the United States in 2015, and no Dice Hate Me Games titles are eligible. 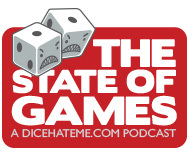 But, in order to honor those games that graced the gaming table for the first time this year but were published before 2015, I am continuing to announce the Dice Hate Me Discovery of the Year Award – and it’s an old classic first published in 1981. It has certainly stood the test of time! For each of us, there are certain synergies among our passions in life that we wish for constantly – a Millennium Falcon birthday cake presented by Daisy Ridley, or Google Fiber, or affordable and convenient GenCon housing. Swinging Jivecat Voodoo Lounge represents, to me, a perfect synergy of booze, tiki lounge culture, gorgeous pop-culture-inspired art, and a constantly-shifting, rapid-fire tactical gameplay that can not only even the playing field among strategy-loving Euro enthusiasts – it can also be used to elicit true cubic tears. I say, without any hyperbole, that Swinging Jivecat Voodoo Lounge is totally my jam. I played SJVL four years ago and was instantly entranced. Since then I’ve had the pleasure of watching it develop and evolve into an even-greater embodiment of the weird, unique, and absolutely joyous soul that dwells at its core. Surely there will be some detractors that say I’ve gone off the deep end with this choice, but to them I will only raise my dirty martini high and urge them to relax and let their freak flag fly high. Let’s boogie, Daddy-O. Swinging Jivecat Voodoo Lounge is a game for 2-5 lounge lizards, ages 21 and up, by Seth Roback for Daily Magic Games. Dark humor is a certain attribute that I often find quite lacking in many boardgame themes. Sure, we have certain stalwarts such as Gloom and Last Will, but The Bloody Inn is the first game in a long time that is both delightfully dark and frightfully fun. The players take on the roles of innkeepers, sharing the management and debt of a wayhouse in 1800s France. All of you are tired of the country life and want to escape by making as much money as you can. The group solution: Lure unsuspecting travelers to the inn, kill them, bury their bodies, and loot the corpses. From time to time lawmen will stop over for the night, and if they are left to their own devices they will investigate reports of missing travelers in the morning, costing you precious Francs if you happen to have, say, a dead body laying about in the courtyard. This sort of situation leads to conversations you wouldn’t normally hear amongst players of other titles, such as “are you planning on killing that policeman? Because if you’re not, I probably will.” The beauty of The Bloody Inn lies not just in these absurd exchanges, but also in the absurdly-rewarding and constantly-variable gameplay that results from inviting your odd victims, err, guests into the rooms each night. Sleep tight, wayward traveler! The Bloody Inn is a game for 2-4 sociopathic francophiles, ages 14 and up, from Nicolas Robert for Pearl Games. It’s really no secret – I love the Warhammer 40k universe. As an old school 40k player from back in the day, I still get twitches whenever I pass by the Games Workshop miniatures aisle at my friendly local game store. Having long ago lost both the time and money with which to adequately keep up with the happenings in the minis tabletop realm of the 41st millennium, I have considered myself – and many others of my kind – lucky that Fantasy Flight Games has done such a good job of keeping us all enthralled with new games based on our favorite properties over the past few years. None have been as successful at that – or as solid in design and playable joy – as Forbidden Stars. This big box 4X game set in the Warhammer 40k universe introduces a fresh, somewhat-simple, but very rewarding card and dice-based combat system for four initial factions – The stalwart Space Marines, the dark forces of Chaos, the war-loving Orks, and the crafty Eldar. The magnificent part of Forbidden Stars is how each faction is decidedly different in its makeup, and designed to play precisely how a 40K enthusiast might expect. The other magnificent part is that you don’t have to know your Ultramarines from your Ulthwé to truly enjoy the game (those are Space Marines and Eldar, respectfully, just because I can’t resist being a nerd). Forbidden Stars is a game for 2-4 galactic conquerors, ages 14 and up, from Samuel Bailey, James Kniffen, and Corey Konieczka for Fantasy Flight Games. Codenames (Vlaada Chvatil proves he’s still one of the best designers ever with the perfect thinking-person’s party game that is an instant modern classic), The Grizzled (a delightfully-simple, yet deceptively-deep cooperative game set amongst a platoon of soldiers trying to survive in war-torn Europe during WWI), Viceroy (I can’t even explain why or how this game is as good or as addictive as it is – it just is… trust me). If there’s an underlying mechanical chassis lying at the base of many of the games I tried this year it has to be somewhat open-ended storytelling. From T.I.M.E. Stories to Tales of the Arabian Nights to Above and Below, I’ve possibly played more story-based tabletop games in 2015 than in my entire gaming career. Whereas a title like Tales of the Arabian Nights failed miserably at capturing my imagination, Sherlock Holmes completely captivated. 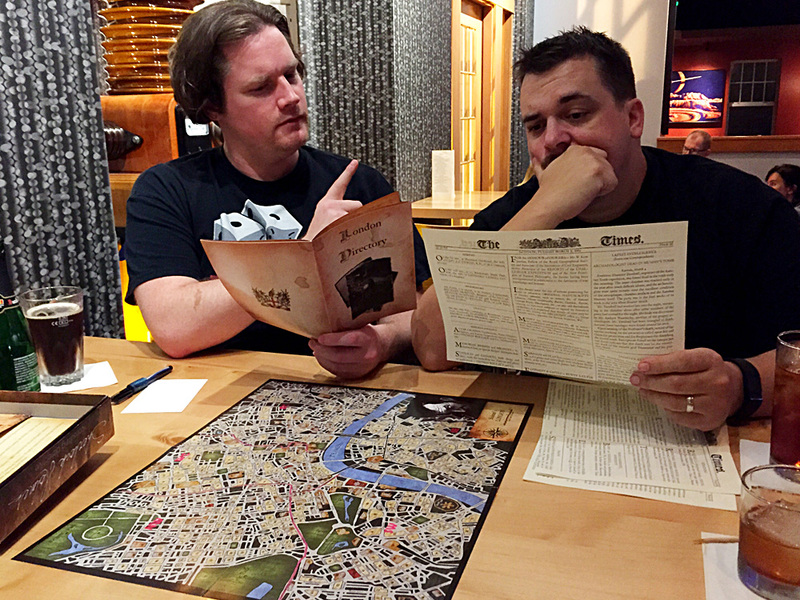 Players take on the roles of Baker Street Irregulars, all trying to outwit Sherlock at various cases. You get the same basic information as Holmes and then scour London looking for key clues and investigating witnesses until you think you’ve solved the crime at question. If you can deduce the dirty perp and how they carried out the dastardly deed in fewer steps than Mr. Holmes then you win. I can assure you, it’s anything but elementary to outwit the famed detective, but you’ll want to keep working the streets again and again until you’ve succeeded. Just as in Sherlock Holmes, your goal in Witness is to work with your fellow investigators to solve an intricate riddle. Unlike in Holmes, however, you’ll only be able to compare notes with your fellow sleuths in a very controlled manner. The game works a bit like the old classic game of Telephone; each of the four players have a specific cluebook that gives them pieces of the puzzle and they can only share what they know from their own books – and what they’ve learned from others – by whispering in another player’s ear. After four rounds of back-and-forth, the players are tasked with answering three questions from the mystery book. If they can all answer each question precisely, the group wins. If not, it’s back to the bricks to try another whodunnit. Although this game’s underlying mechanic is pure simplicity, I can assure you the puzzles are anything but. You’ll all be whispering sweet somethings in each other’s ears hour after hour with this charming title. Surprisingly enough, the second runner-up for Discovery of the Year doesn’t involve storytelling or crime-solving. This one is all about cattle; specifically, cattle on the grassy pampas of Argentina. In El Gaucho, you control a group of Argentinian cowboys, tasked to wrangle herds of cattle as best you know how. As a gaucho, it’s your way of life! At its core, El Gaucho combines dice selection, worker placement and set collection in a uniquely charming way, all tied together nicely with lovely art and a light-hearted, friendly theme. Learning the ropes in El Gaucho is certainly no mean feat, but figuring out the most efficient combination of dice and when to use your gauchos to gain the edge with future actions will keep you coming back for more. 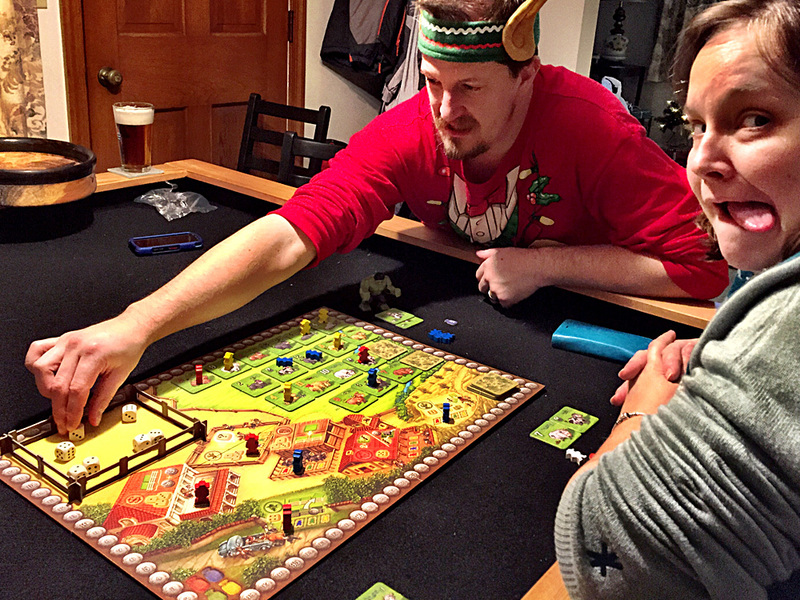 El Gaucho is certainly a lighter Euro that I can heartily recommend for gamers of all walks, and that’s no bull. I feel very much as you do with SJVL. I have long awaited its publishing, and it’s so nice to see it get some recognition. I raise a monkey-festooned cocktail to you! Chris – thank you so much for the honor! Swinging Jivecat Voodoo Lounge delivers on the hype and expectations I have had since hearing about it on the State of Games podcast. Thank you Chris for keeping this on my radar for years.